Gender & Sexuality Services has a team of student volunteers who help support our campus resources and benefit from year-long professional development. If you are interested in this volunteer position, please read the list of expectations for GSS volunteers and fill out the application below. Applications for the Fall 2019 semester are open until April 4. Queer Peer Mentoring applications are due on April 4 here. Our volunteers should plan to spend 3 hours per week with GSS. 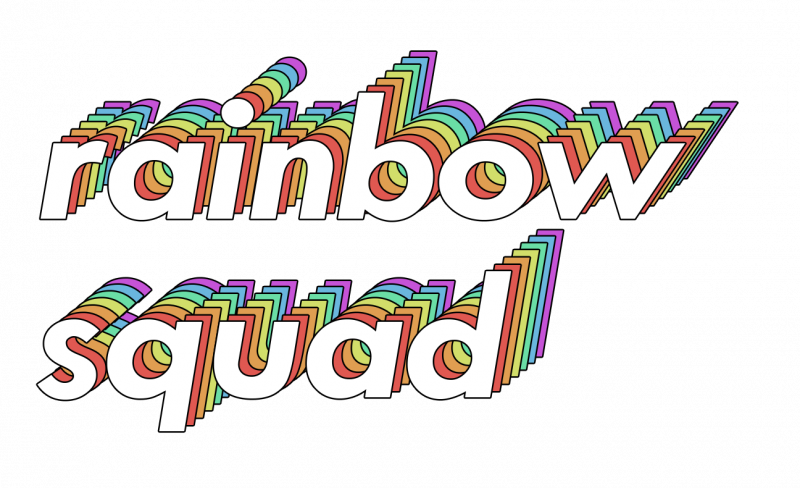 We have two tracks of volunteers: Rainbow Squad Volunteers and Queer Peer Mentors. Rainbow Squad work most closely with the GSS team on events, education, and resources. Queer Peer Mentors provide one-on-one support to incoming or new-to-the-community LGBTQ+ students. Queer Peer Mentors description and application are on a separate page. Respect that the Center is a safe space and keep all interactions with students inside of the Center confidential. However you must share concerns for students' well being with GSS staff members. If you are interested in serving as a GSS Rainbow Squad Volunteer, please fill out the application below. If you are interested in serving as a Queer Peer Mentor, please go to this page. If you do not receive a follow-up e-mail within a week, please contact us at lgbt@uni.edu. Any notes about your name, pronouns, or contacting you? I understand I need to go to lgbt.uni.edu/mentoring to apply. Please note what commitments you have and their general time frames.